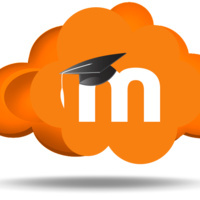 The Getting Started with Moodle workshop is aimed at faculty who are new to Moodle or need a refresher. This session considers general use of learning management systems (LMS), and how this technology might be used to enhance teaching and learning. It provides an overview of Moodle functionality, considers issues about site navigation and course design to align with your syllabus and teaching goals. Instructor-led demonstration and lecture. Participants will be encouraged to participate hands-on and apply the skills on their Moodle course(s) during the workshop. There will be time to ask questions. A handout will be provided.